Want to stop living paycheck to paycheck and start moving towards financial independence? Learn the process the Frugalwoods took to retire early together! What are you two working towards, big picture wise? How often do you guys talk about it? Talk can be cheap or it can be the start of an incredible journey. 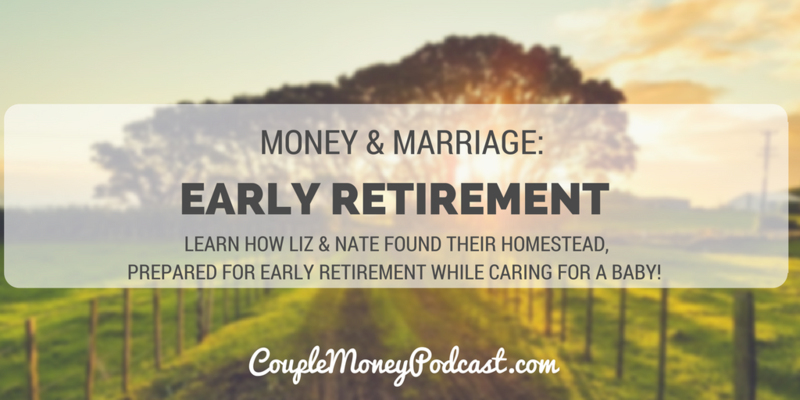 Four years ago a conversation Liz had with her husband Nate was a trigger to achieving their huge dream of becoming financially independent and retiring early. What would you do if you were retired right now? You might expect me to say you too can retire early with just a few easy steps. But the truth is it’s much more complicated than that to break the cycle of consuming and working. It’s going to take something very powerful a change in your mindset your finances and your lifestyle. 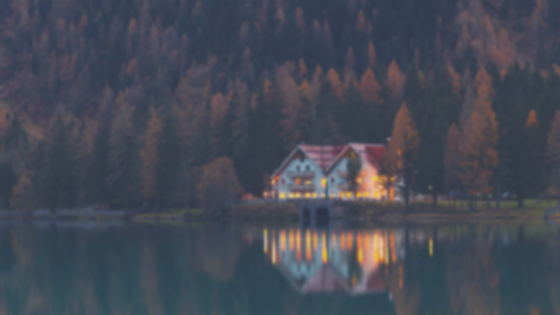 Today Liz, author of Meet the Frugalwoods: Achieving financial Independence Through Simple Living, is here to share their journey and hopefully inspire you to examine where you can start setting that path up towards financial independence. If you two are looking at early retirement or to become financially independent, check out these resources. Want to retire early, but don’t have a lucrative income? Rob shares how small changes have had a huge impact on his finances, allowing him to be able to retire by 40! Just because your career isn’t lucrative doesn’t mean you’re stuck living paycheck to paycheck. Rob’s a federal employee working as an accountant. His paycheck has never been extravagant but he’s on track to retire by 40. He and his wife Sara have been writing about how they’re doing it on Mustard Seed Money. Like the biblical reference, Rob wants to share how small changes can lead to big results. Are Housemates Worth the Financial Benefits? Stressed over money? Get the guide to building your wealth together! Jumpstart Your Marriage and Your Money is designed to get you two on an effective and easy system to dump your debt, save for your dreams, and become financially independent in four weeks! Stop fighting about money. 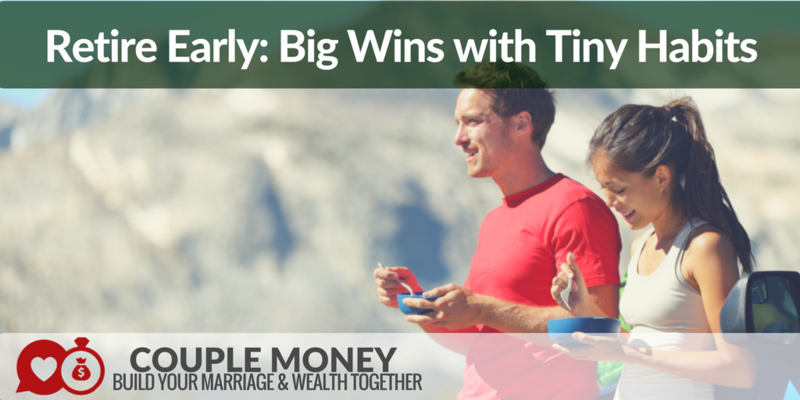 See how you two can get on the same page with your goals and have fun with money dates. Automate your budget & system. Stay on top of your money without stressing over every penny. Earn and save more money. We’ll go through ways you can slash your expenses and start building some extra income to reach your dreams faster! Looking to be financially independent sooner? Learn how Liz and Nate from Frugalwoods found their homestead, prepared for early retirement while caring for baby! After years working hard and stashing away their nest egg, Liz and Nate are looking forward to enjoying the fruits of their labor. They own two homes – a townhouse in Boston and a homestead sitting on 66 acres in a scenic area in Vermont. But Liz and Nate are a bit different than you’re probably imagining- these lovebirds are planning to retire by 33. And they’re making it happen with a baby in tow. This episode is brought to you by Coastal Federal Credit Union. If you’re sick and tired of being treated like a number by your bank, come over to the credit union side where you’ll be a member. Coastal has been proudly serving its members, including me, for almost 50 years. They’re based in Raleigh, NC and provides service to members worldwide. Their network of 50,000 surcharge-free ATMs and 3,400 shared branches means you’ll always have access to your cash when you need it. So if you’re ready to learn more and switch, please visit Coastal! Like the music in this episode? Our theme song is by Gentle Regime. QUESTION OF THE DAY: What are your retirement plans? 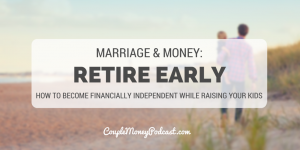 Learn how you two can retire early as Justin from Root of Good shares how he and his wife did it with three kids at home. Learn how to optimize your biggest expenses so you can build up your wealth faster and have more time for your family. Last week Justin celebrated a milestone – it had been 1,000 days since retired in his early thirties. Besides being financially independent, what makes his journey even better – at least to me – is that he and his wife were able to do build their wealth with three kids at home. The good news is us is with his new freedom, Justin finally had time to start a new project. 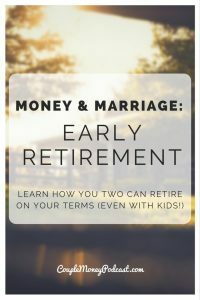 If you’re looking at retiring early or mastering your expenses, here some articles and podcast shows to check out!